I9500XXUFNB3 Android 4.4.2 KitKat Firmware Last Updated on 20-Feb-2014. Samsung Galaxy S4 GT-I9500 (Exynos Octa) Smartphone recently started receiving the XXUFNB3 Android 4.4.2 KitKat official firmware update. Samsung recently started rolling out an OTA update about the firmware. However, the firmware is currently released for Russia. Hope the firmware will hit other part of the world soon. 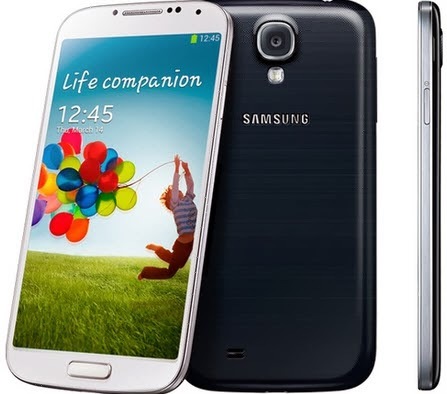 The Galaxy S4 I9500 was released with Android 4.2.2 Jelly Bean and started receiving Android 4.3 Jelly Bean from the month of October 2013. This is the first official Android 4.4.2 KitKat firmware update for the device. If you own the device and not yet updated this latest firmware, then update the same using our simple tutorial below. The below guide will help you to download and install the latest I9500XXUFNB3 4.4.2 KitKat firmware manually through Odin. If you already updated the I9500XXUFNB3 firmware and looking for an easy to follow method to root the firmware, then follow this guide- Root I9500XXUFNB3 Android 4.4.2 KitKat Firmware Running on Galaxy S4 GT-I9500- Simple Tutorial. The latest Android 4.4.2 KitKat is definitely a great update for the Galaxy S4 I9500 users. The latest firmware will upgrade the OS version to 4.4.2 KitKat and will bring many new features and performnace tweaks. Android 4.4.2 KitKat comes with many new features than the previous Android 4.3 Jelly Bean, some includes- Camera shortcut on lockscreen, White icons in status bar, Performance improvements, Transparent status bar, Improved keyboard layout in landscape orientation, Select between the stock messaging app or Hangouts for SMS and MMS, Select between TouchWiz or other launchers through settings, Wireless printing, Updated Google apps and many more. So, want to update your Galaxy S4 I9500 to the latest I9500XXUFNB3 Android 4.4.2 KitKat firmware? To install in official way, either you can go for OTA (over the air) from Settings-About Phone-Software Update or download firmware through the Samsung Kies utility. However, most of us prefer manual way to update official firmware. So, in this article you’ll find step by step manual guide to update the latest Android 4.4.2 XXUFNB3 firmware on your Galaxy S4 I9500 through Odin. "The firmware is released only for the Samsung Galaxy S4 GT-I9500 model, so don’t try this in any other android device. Check your device model number from Settings-About Phone. Also the tutorial is based on Windows PC. Follow all the pre-requisites, procedures and steps carefully to avoid breaking your phone". Samsung rolled out the firmware for the following countries. The firmware which are unbranded or not locked to any carrier, no matter of which country or region, can be flashed on any Galaxy S4 GT-I9500 model. All the above pre-requisites are very important and must follow before proceed to installation guide. Hope you get all the above points. Now, go through the below tutorial to install Android 4.4.2 I9500XXUFNB3 official firmware on Galaxy S4 I9500. Switch off your phone and boot Galaxy S4 I9500 into Download Mode by pressing and holding the Volume Down+Home+Power buttons (long press until the boot screen appear), now press Volume Up key to proceed to Download Mode. Congratulations! your Galaxy S4 I9500 is now updated to the latest and official Android 4.4.2 KitKat firmware. Hope you successfully done the update process. If you followed everything as mentioned in the above tutorial, then your your Galaxy S4 should now running on the latest Android 4.4.2 KitKat build version XXUFNB3. You can confirm the firmware update details from Settings-About Phone. If you find any problem with the above tutorial and download link, feel free to contact with us using the comment form below.. It is available in india also. Is it safe to do it manually on PTR devices? I mean. Israel haven't got yet the 4.4.2 and If i'll update the russian version what would be different about the israel version? does my 3G still works after i update to 4.4.2(Russia)?